This entry was posted on August 29, 2008 at 8:33 pm and is filed under 9/11, Crop Formations, Directed Energy Weapons, Mind Control, Weather Manipulation with tags 9/11, Cover up, Crop Circles, Crop Formations, DEWs, Glyphs, HAARP, Hurricane Erin, Judy Wood. You can follow any responses to this entry through the RSS 2.0 feed. You can leave a response, or trackback from your own site. you have some awesome information here. but have you seen this blog…. It has views you’ve never imagined. Check it out! it is awesome stuff. keep up the great work here too. So that’s what they are? A few weeks ago I had seen a beam/shadow thing behind a trail of plane and took a couple pictures of it. My first thought was that it was shadow too, but I really didn’t believe that. Do you know where the pictures you have were taken? The one I saw was in New Mexico, which has a bunch of military facilities. Would that make a difference? Well anyways thanks for this information, it was very helpful. Dr Wood has not tied the weather anomalies to the grounding of planes. She has tied them to the timing of events at the WTC. 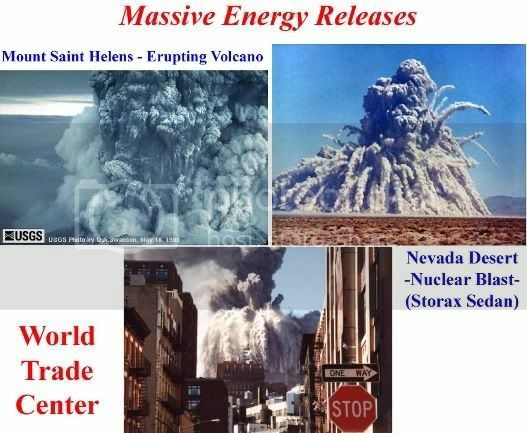 She has tied alaskan magentometer readings to specific WTC events too. The details are important, if an understanding of what happened is to be gained. If you ever want to hear a reader’s feedback 🙂 , I rate this article for 4/5. Decent info, but I just have to go to that damn msn to find the missed pieces. Thank you, anyway! woow, cool man good piece of information, pretty well documented, i have observed beans also, and many more things just don’t talk about often, things are moving faster now…..whats to come ??? For the best evidence on the web about these mysterious ‘shadows’, Please check out the feature video on my youtube site. Its just what the Dr. Wood would love to see! well r these speculations or hard evidence? i see that these circles r just to create a hype how they r made is immaterial … why such stuff is always there in that part of the world? yno 3rd world country with acres of crops every had such stuff??? is it because its beyond their range? OR BECAUSE SO CALLED HAARP is not fully developed? nice effort though bro for collecting such stuff!!! Fantastic analysis! It´s very possible! Thanks. Email me at sparkoflifemedia@gmail.com and we can talk about it further. Very true. Email me at sparkoflifemedia@gmail.com and we can talk about it further. thanks abouth your information.can you tell me abouth haarp?and its reall? Yes very real. Email me at sparkoflifemedia@gmail.com and we can talk about it further. Email me sometime, we can talk about this further.